During the blizzard earlier in the week I figured I had no choice but to stay in and whip up a yummy dessert. Luckily I had stocked up on all the ingredients beforehand! These were so easy to make and are seriously so good. Just be careful; at about 350 calories each, you can’t get away with eating too many! 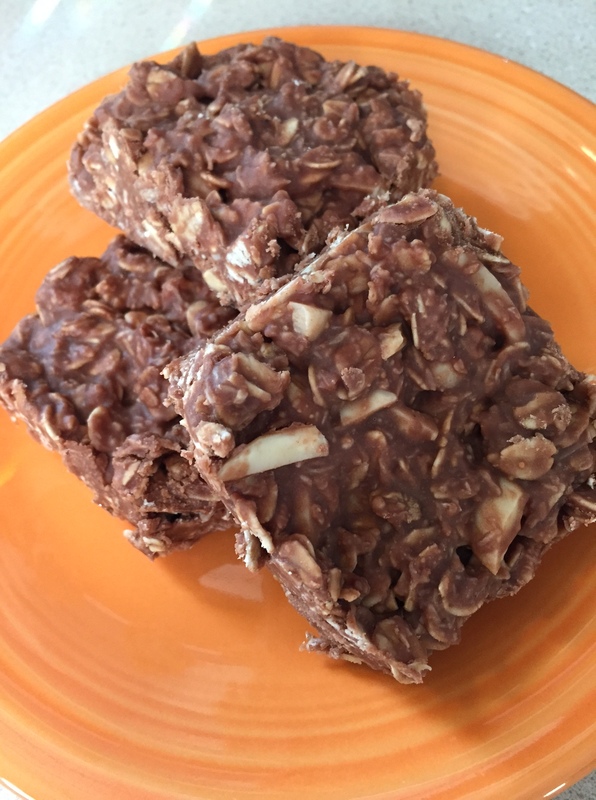 However, they are packed with healthy fats (from the coconut and peanut butter), very filling (high in fiber and protein), and require only a few ingredients. Who said clean eating has to be boring? 1.) Melt the peanut butter, honey, and coconut oil over medium low heat in a saucepan on the stove. Stir continually until fully melted to prevent it from burning. 2.) 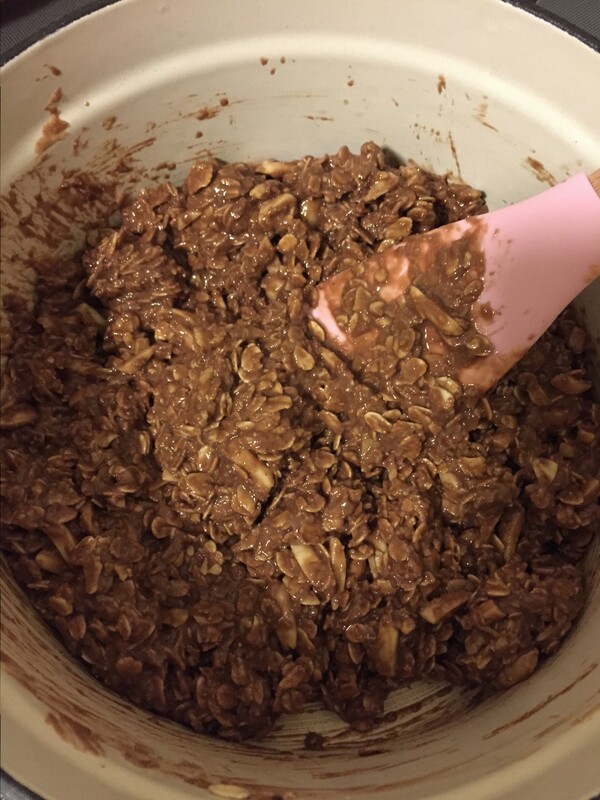 Once it is all melted together, remove from heat and stir in the oats, cocoa powder, coconut, nuts, and vanilla until well mixed. 3.) Pour into a greased brownie pan or 9 x 13 pan and cool in the fridge (I left it overnight). 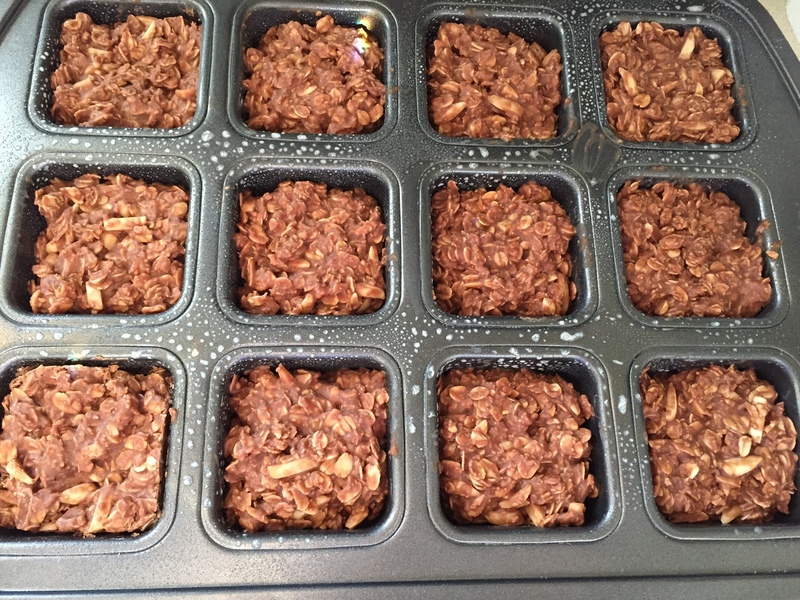 Remove from brownie wells or cut into bars. 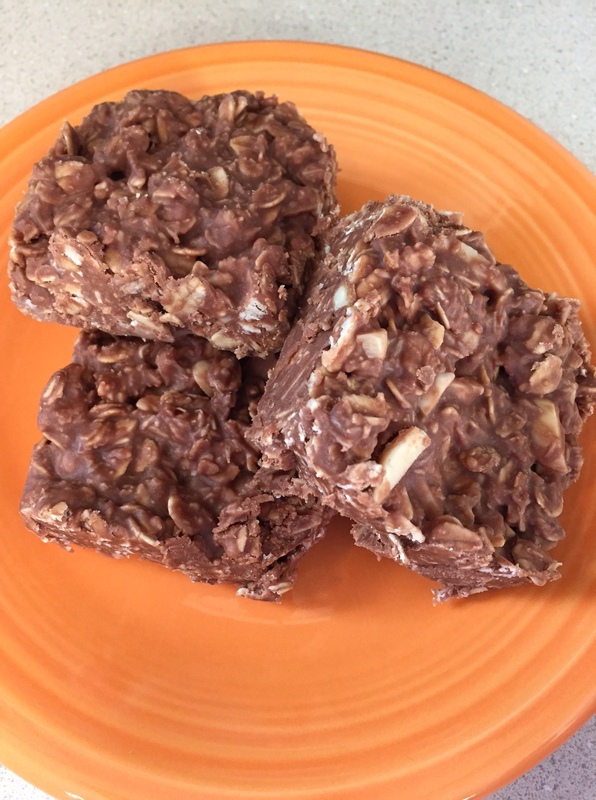 Store in the fridge or freezer; they get soft if left at room temp too long! I had one of these and it was delicious – other than perhaps the coconut which I’m not a big fan of. But definitely could have had more than one! !